For people who have always dreamt of working in a bank especially in a government one because of all the perks and benefits, here is your chance to grab the opportunity. That’s because the State bank of India (SBI) has recently declared a vacancy of 8301 total posts for the position of Junior Associates. Youngsters who want to pursue their career in the banking sector they, should totally bag this opportunity before the deadline arrives. If you are one of the interested candidates and are willing to apply for the position but don’t have any clue about the SBI Clerk Recruitment should go through this article in order to know about the complete details of it. 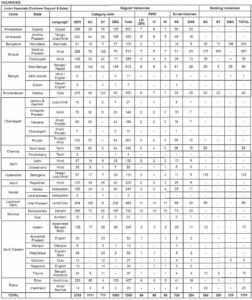 All the necessary information regarding the SBI Clerk Vacancies 2018 has been nicely furnished below in this write-up. The main and the biggest advantage of this SBI Clerk exam is that it is conducted online. So, candidates can give their exams with ease from the comfort of their homes. The eligibility criteria of the SBI Clerk Notification 2018 include the age limit, nationality and the educational qualification of the candidates which is set by the State Bank of India itself. There are some relaxations also for the candidates who comes under reserved category. Educational Qualification: A candidate must be a graduate or an equivalent from a recognized government college or institute. Nationality: Candidates applying for the SBI Clerk Recruitment should be a citizen of India. Candidates applying from Nepal, Bhutan and Bangladesh should hold a valid certificate stating that they have the complete intention of settling down in India permanently. Age Limit: The age of the candidates applying should be in between 20 to 28 years. Therefore, anyone below the age of 20 years and above the age of 28 years as on 1st of January, 2018 cannot apply for the job. 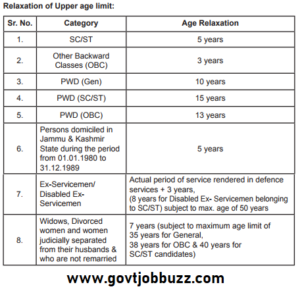 However, there is age relaxation for the reserved category provided that they have a reservation category certificate. In order to know the further details about the SBI Clerk Recruitment eligibility criteria, you can go to the official website which is sbi.co.in/ and look there for the details. After clearing the eligibility criteria, it is quite natural that you would want to apply for the post. Now in case, if you have no idea how to apply for it then, the steps to it are furnished below. Next, navigate to the clink ‘Apply Online Here’ which is given there on the page. Once you click on the link, you will be directed to the application form window. Now, fill in the form correctly. Read the instructions carefully before, filling up the form in order to avoid any mistake. Also, check all the information entered by you because there is no room for any error. After you are done filling up the application form, you will be required to upload a scanned copy of your passport sized photograph along with your signature. Now, pay the application fee through SBI net banking or Challan or Credit/Debit card. After the payment is done take a printout of the application form for future use. Candidates will receive a confirmation via an e-mail or a SMS. Candidates are required to pay the application fee for the SBI Clerk Recruitment 2018 through SBI net banking or Challan or Debit/Credit card. The application fee for the general and OBC candidates is Rs600 while candidates belonging from the reserved category i.e. SC, ST, PWD and Ex-Servicemen are required to pay only Rs100. The exam for the SBI Clerk Vacancy will be conducted online in all over the country. In order to secure the job one has to clear common written exam (CWE). This exam comprises of the preliminary exam and the main exam followed by the selection procedure. The exam pattern provides you an understanding about how the question paper of the SBI Clerk Recruitment exam will look like. Also, this will help the candidates to prepare according to that. English Language: 30 questions of 30 marks. Duration 20 minutes. Numerical Ability: 35 questions of 35 marks. Duration 20 minutes. Reasoning Ability: 35 questions of 35 marks. Duration 20 minutes. This makes a total of 100 questions of 100 marks. Duration 1 hour. General/Financial Awareness: 50 questions of 50 marks. Duration 35 minutes. General English: 40 questions of 40 marks. Duration 35 minutes. Quantitative Aptitude: 50 questions of 50 marks. Duration 45 minutes. Reasoning Ability and Computer Aptitude: 50 questions of 60 marks. Duration 45 minutes. This makes a total of 190 questions of 200 marks. Duration 2 hours 40 minutes. After the exam pattern, candidates should know about the syllabus in order to prepare for the exam accordingly. Without the syllabus, it is not possible for the candidates to prepare for the exams. The subjects that you need to study for the SBI Clerk Recruitment exam 2018 are listed below. To know the full syllabus you can log on to the official website of the SBI. The first step is to fill up and submit the application form. Then you will have to sit for the Preliminary exam which will be conducted online. Candidates who will clear the Preliminary exam will have to sit for the main exam which will also be conducted online. After you have cleared the main exam only then, you will be selected for the SBI Final selection. And, the last stage is where the selected candidates will be called for the verification of their documents. So make sure you carry all the required documents. Now that you know all the details about the SBI Clerk Recruitment you can start preparing for it accordingly. Candidates who are really interested to apply for the post should actually start preparing from right away so that you can crack the exam easily. Truth be told the exam is not easy in case you think so. Therefore, it is important that you start preparing for the exam from the very beginning. The main advantage of the SBI Clerk exam 2018 is that the entire process starting from filling up the form to conducting the program, everything is done in online mode. This has made everything a lot easier for all the candidates. Although all the information has already been furnished on the official website of the SBI but the date of the exams are still yet to be declared. Therefore, all the aspiring candidates are advised to regularly visit the website in order to keep a track of any further updates. All the SBI Clerk Notification 2018 for the SBI Clerk Vacancies 2018 will be published on the official website. If you stay in touch with the website then, you can get to know about all the information very easily. So instead of wasting any more of your time, get to the preparation so that you can increase your chances at passing the exam and thus, secure the job of your dreams. All the best to all the candidates. I am in a third year in bba. can i apply? right now i am in 4th year last sem can i eligible?? which details are incorrect ? you can edit application form before the last date. .
SIR ..I M 3 YEAR IN B.C.A CAN I APPLY FOR THIS POST….I HOPE U WILL REPLAY SOON…. IM 12th pass and diploma 4th sem running can i applied.? I have already applied for SBI clerk but my college name is wrong. Will there be any problem? If so what shall I do now? Will it be better if i apply once more? I am in eight sem in BE can I apply???? I’m mihir.i am studying in Mcom part 1.can I apply this job. Sir plz tell me. Im 12th pass and ITI copa 1 years completely can apply. THIS POST I HOPE U WILL REPLY PLEASE PLEASE PLEASE……. I’m completed Diploma in automobile I can apply this form?